For the apple base: In a medium bowl, toss together chopped apples and lemon juice. Set or in refrigerator until ready to use. For the crisp: In the bowl of a food processor, combine oats, brown sugar, spices, applesauce, and salt on low for 30-45 seconds, or until roughly chopped and combined. Transfer to bowl and set aside until ready to use. For the caramel sauce, combine dates, salt, almond milk, and vanilla in the bowl of a food processor on low until completley smooth. This could take a few minutes until all dates are processed. Place in jar or container and store in refrigerator until ready to use. 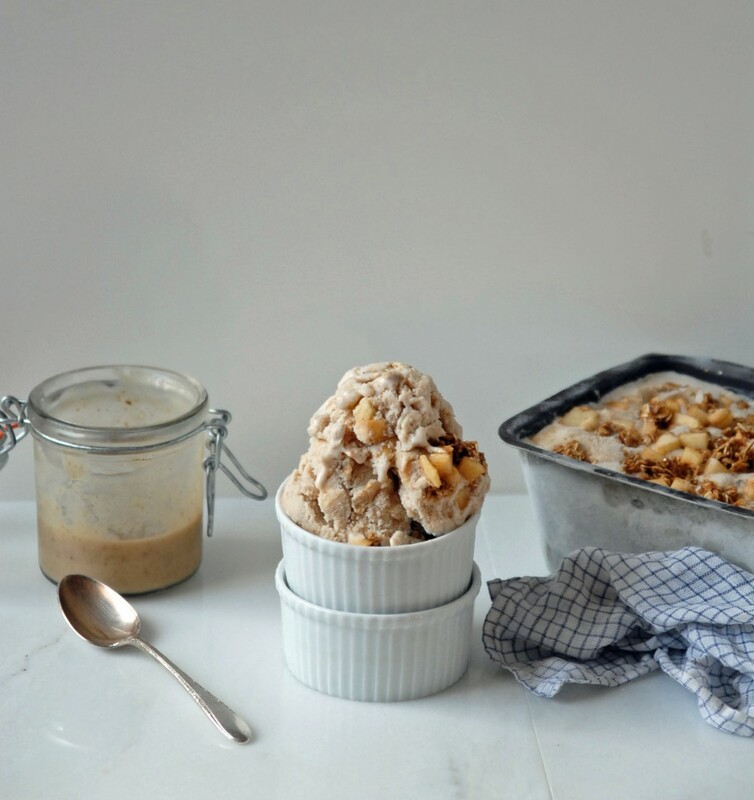 To prepare the ice cream: In the pre-frozen bowl if the ice cream maker, combine both cans of coconut milk, vanilla, and brown sugar or cane sugar. Prepare according to manufacturer’s directions. I let mine churn for about 45 minutes before adding any extras. After 30-45 minutes, add in half of the caramel sauce. Let churn for an additional 10-15 minutes. Add in 1/3 of the apples and 1/3 of the crisp mixture, ensuring that the bowl does not overflow. Let churn for an additional 10 minutes. 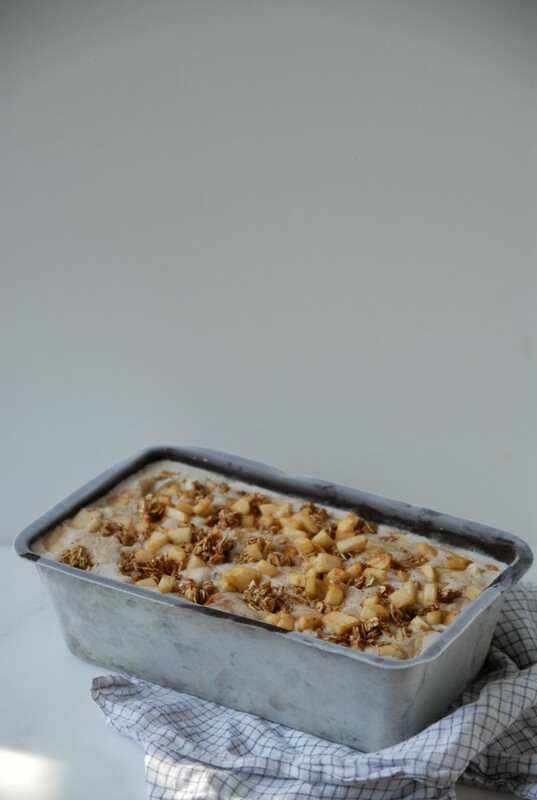 When ice cream is done churning, transfer mixure to larger bowl or pan to freeze ice cream in and fold in the remainder of the apples, caramel, and crisp mixture. 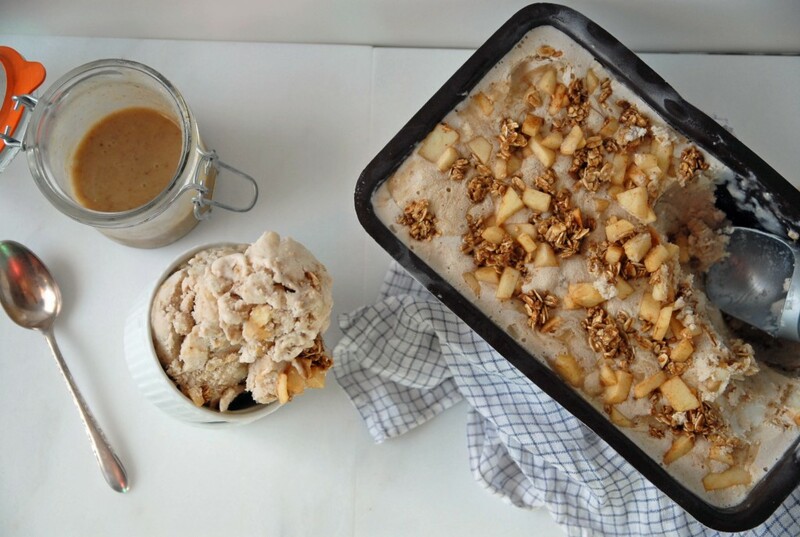 If desired, reserve 1/4 cup apples and crisp mixture to top ice cream. Freeze for an additional hour for extra firmness. Top with extra caramel sauce. Yields 6-8 cups ice cream and keeps for about a week stored covered in the freezer. Looks awesome, and worth the wait! 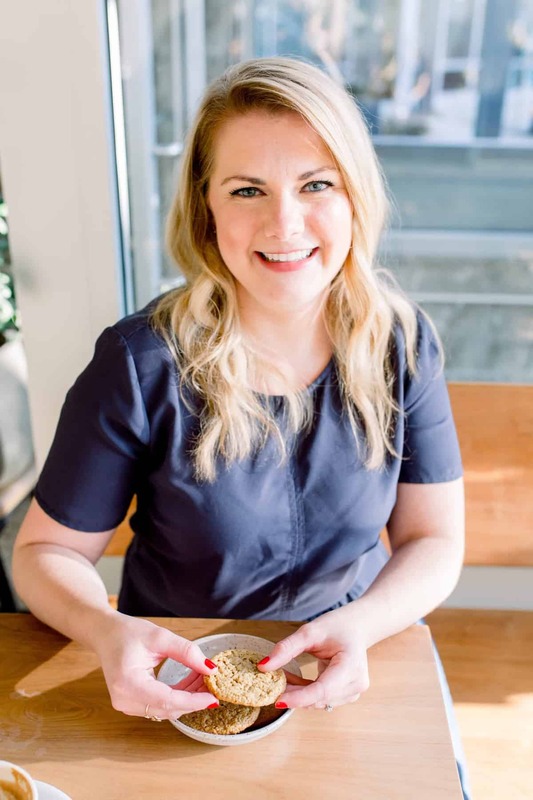 Good god Abby, this sounds wonderful! Thanks Erica, it’s one of my favorites so far! Whoa!!! This ice cream looks insane, mama! Love it. I’ve been trying to cut down on my ice cream intake, but I might have to make an exception for this. Because: APPLES! CARAMEL! 🙂 This looks awesome! No way, you better up that ice cream intake with this!! My ice cream maker is in desperate need of a workout. It hasn’t been used since last summer! 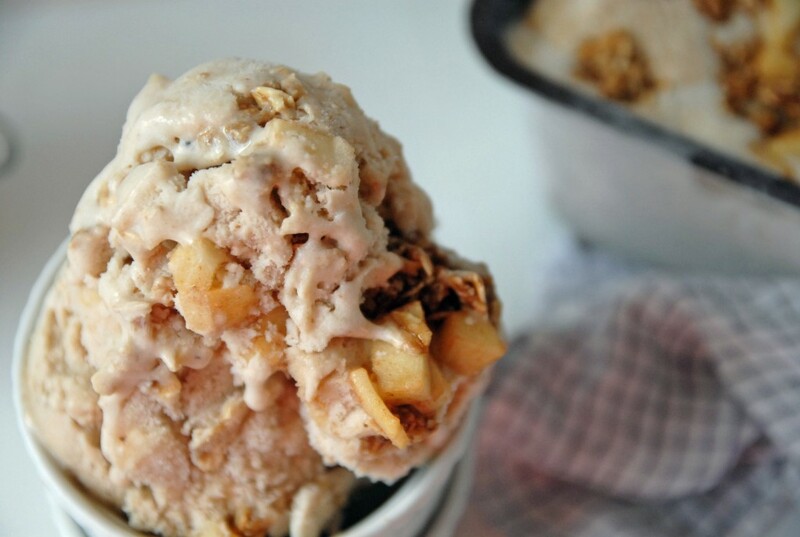 Your recipe looks ideal for fall ice cream…even if it feels like mid-July here in Miami. Agreed! It’s been 70s here so ice cream is totally appropriate! oh my goodness, this looks amazing! and vegan? whaaaaat?! i don’t even like ice cream very much but this has got me drooling over my keyboard, haha. great recipe! 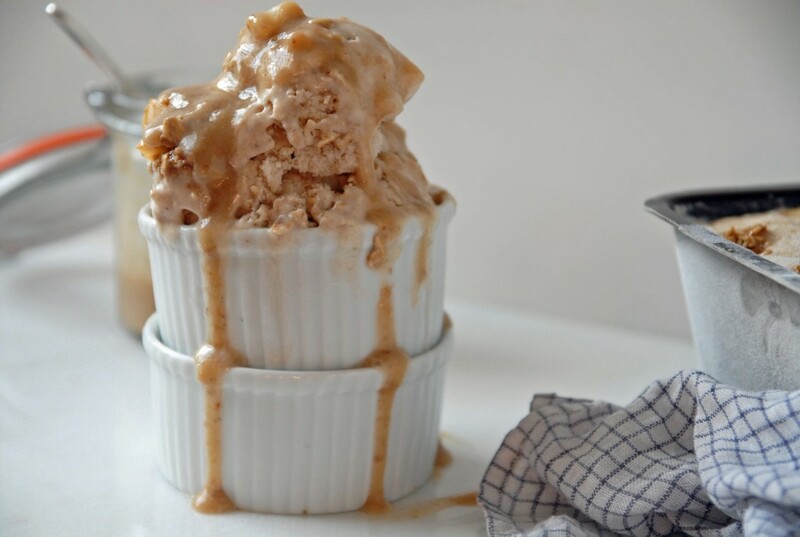 Apples, caramel sauce and ice cream – just a few of my favorite things! Looks delicious! Abby, you make me wanna eat my screen!!! This ice cream looks amazing!!!!! oh gorgeous! 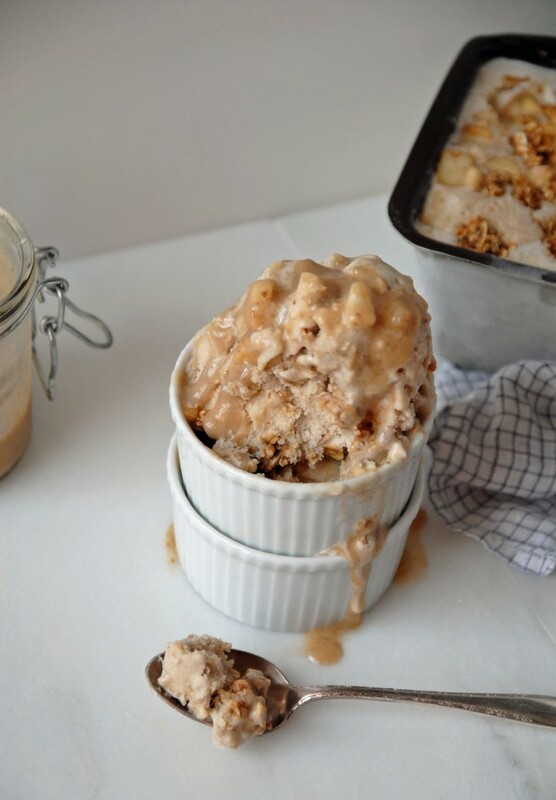 this is the fall ice cream i should make before the sun disappears this weekend! 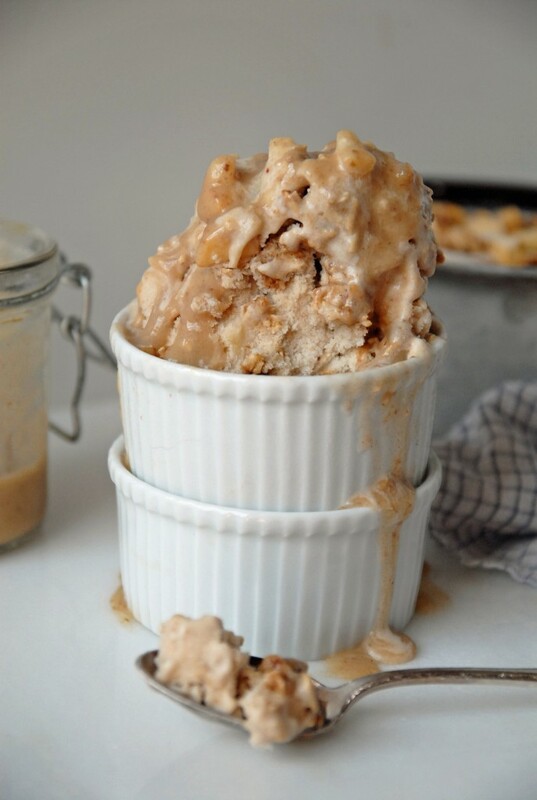 Oh this looks lovely, especially as I have become such an obsessive ice cream maker recently! Wow–looks great. And I just got a great deal on a case of coconut milk!